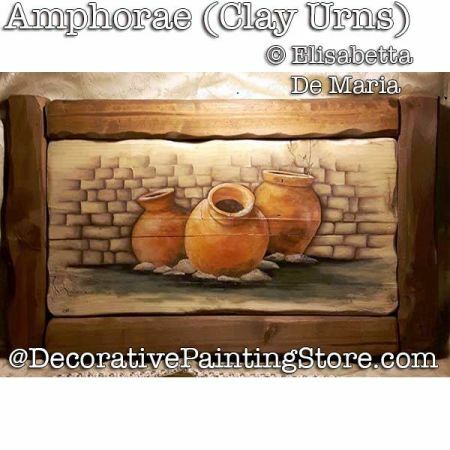 Painting ePattern Tutorial called Amphorae - Italian for clay urns or pots. 3 clay urns sitting in front of a stone wall. Drawing is approx. 7.5"x11". Enlarge or reduce to fit a surface of your choice.